ShukerNature: FROM THE HOUND OF THE HEDGES TO CHIA DOGS! FROM THE HOUND OF THE HEDGES TO CHIA DOGS! Just over a month ago, on 12 April, I documented the wonderful Hound of the Hedges (click here for this ShukerNature post of mine), a unique (albeit fictitious) zoobotanical crossbred canid that featured in Charles Finney's surreal science fantasy novel The Circus of Dr Lao (1935). 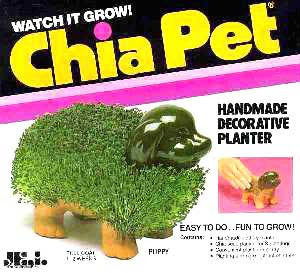 Confirming that, as ever, fact is stranger than fiction, American correspondent Marc Gaglione has now brought to my attention the extraordinary real-life world of Chia Pets, which are common in the USA but which I haven't encountered here in the UK and hadn't even heard of before. "Chia Pets are American styled animal-shaped terracotta figurines used to sprout chia, where the chia sprouts resemble the animal's fur. "Produced by San Francisco, California-based company Joseph Enterprises Inc., Chia Pets achieved popularity in the 1980s following the 1982 release of a ram, the first Chia Pet. The catch phrase sung in the TV commercial as the plant grows in time lapse is "Ch-ch-ch-chia!". Moistened seeds of chia (Salvia hispanica) are applied to the grooved terra cotta figurine body. "A range of generic animals has been produced, including a turtle, pig, puppy, kitten, frog, and hippopotamus, but cartoon characters including: Garfield, Scooby-Doo, Looney Tunes, Shrek, The Simpsons, and SpongeBob have also been licensed. Additionally, there are Chia Pets depicting presidents, including Barack Obama." The Hippo of the Hedges? 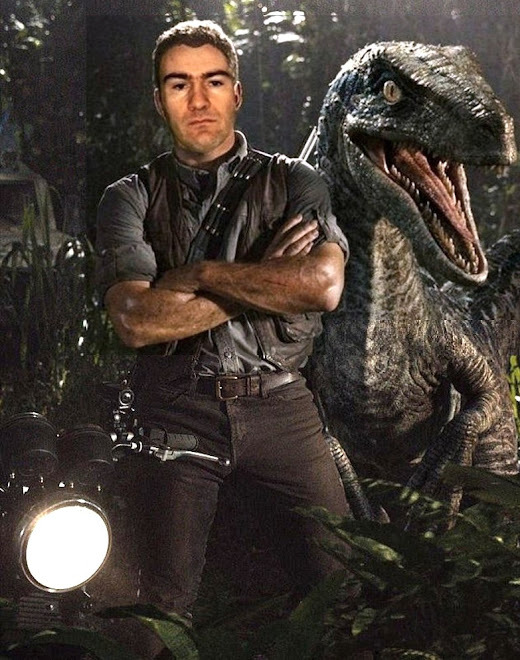 Now that's a cryptid I'd pay good money to see! 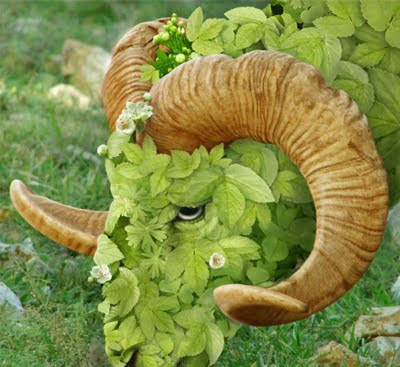 Chia ram or photoshopped Ram of the Hedges? You decide! A REAL-LIFE CROCODILE-FROG FROM BORNEO?